Morris Animal Foundation is a global leader in supporting studies to find solutions to serious health threats to animals. Since our founding, we’ve invested more than $126 million in 2,670+ studies that have improved the health and quality of life for dogs, cats, horses and wildlife around the world. To bridge science and resources to advance the health of animals. 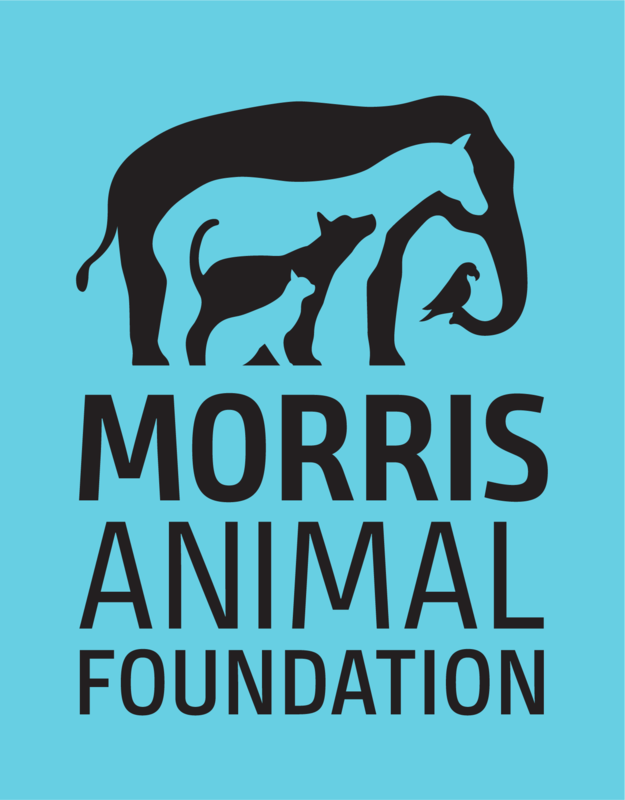 Morris Animal Foundation improves and protects the health of animals through scientific innovation, education and inspiration. Founded by a veterinarian in 1948, we continue to be a science-driven organization, funding critical health studies for the benefit of all animals. 20,000+ species benefit from our research. As a global leader, we support studies to find solutions to serious health threats to animals. We’re responsible for the development of diagnostic tools, vaccines, new drugs and surgical techniques. We partner with leaders in animal health to build on existing knowledge, unlock new discoveries and bring revolutionary treatments into practice. From urgent health crises in our cats and dogs to solutions for long-term survival of endangered species, we never stop trying to change the lives of animals for the better. Improving the health of animals worldwide for 70 years. At any given time, we have over 200 studies underway to address important health challenges, from conducting the largest cancer-focused study of its kind in dogs, to supporting research critical to saving endangered species worldwide. The knowledge gained from our research is shared freely so that animals can benefit from our scientific advancements as soon as they are available. We fund more animal health studies, in more species, in more places around the world than any other organization. We actively support the work of established researchers as well as promising young investigators. We are a leading provider of unbiased scientific information, and apply the highest scientific standards to achieve innovative solutions to health challenges – all to usher our animal kingdom into a healthier future. It was the dream of Dr. Mark L. Morris Sr., when he established the Foundation in 1948, to advance veterinary medicine and improve animal health. We continue to make that dream a reality every day. We arm animal health professionals with knowledge and support those beginning in the field. We envision a world where animals live full and healthy lives. Since 1948, we’ve supported more than 200 institutions worldwide and funded 1,000+ dog, 400+ cat, 550+ large animal (horses, llamas, alpacas), and 650+ wildlife studies, as well as 77 grants that support multiple species. We also have supported the training of more than 600 veterinary and postdoctoral students all to improve the lives of the animals we love. We are a leader in infectious disease research. Our early work supported the development of vaccines for feline leukemia virus and Potomac horse fever, and many other infectious disease breakthroughs that continue today, including a new treatment for deadly FIP. We’ve improved cancer treatment and diagnostics. We have been funding cancer research to benefit animals since 1962. From finding ways to improve chemotherapy to tackling virus-causing cancers, advanced surgical techniques and adjunct therapies – we imagine a world where all cancers are treatable and more cures are possible.